The US Energy Information Administration (EIA) has lowered crude oil price forecasts in its latest Short Term Energy Outlook to average $49 per barrel in 2015 and $54 in 2016, $6 and $8 lower than forecast in last month’s forecast. Concerns over the pace of economic growth in emerging markets, continuing (albeit slowing) supply growth, increases in global liquids inventories, and the possibility of increasing volumes of Iranian crude oil entering the market contributed to the changed forecast. EIA’s updated projection, however, remains subject to significant uncertainties: the pace and volume at which Iranian oil re-enters the market, the strength of oil consumption growth, and the responsiveness of non-OPEC production to low oil prices. Changes of world crude oil price have always been in the focus of economic and financial news. The higher crude oil prices are, the more positive is the economic outlook for petroleum exporters. On the contrary, countries dependent on petroleum imports suffer from high energy prices. In April 2015, The World Bank, in its Commodity Forecast, had predicted that world crude oil price will fall to $53 in 2015. 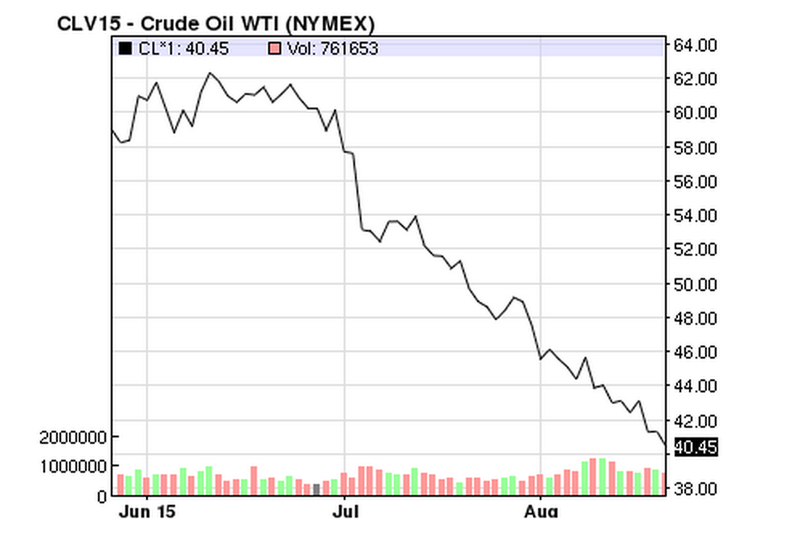 In July, it upped the same to average $57 per barrel for the year. Geopolitical tensions and more closures of high-cost oils rigs could push the forecast even higher, the bank added. According to Goldman Sachs, the price of oil could be stuck firmly at around $50 a barrel by 2020. This would result in energy companies cutting costs, projects and jobs to cope with falling revenues. In fact, several big oil and gas companies announced have announced this week they intend to make cutbacks to stay afloat in this sinking environment. For instance, Royal Dutch Shell expects to cut 6,500 jobs. According to Nicole Friedman of The Wall Street Journal, oil investors and forecasters, who predicted early in the year that prices would recover in the second half of 2015, now say a rebound is unlikely before the second half of next year or 2017. US Government forecasters last week have cut their oil-price estimates and see oil holding below $60 a barrel, on average, through 2016. The shift in sentiment is partly due to the resilience of US oil producers, who are continuing to pump crude at near-record levels despite months of spending cuts, thanks to new efficiencies in drilling technology. Natixis, another leading London-based commodity research house has also downgraded oil further to an average price for 2015 to $47.8 and $41 for 2016. The consensus, thus, seems to be a continued period of low oil prices, continuing well beyond 2015 into the next year.